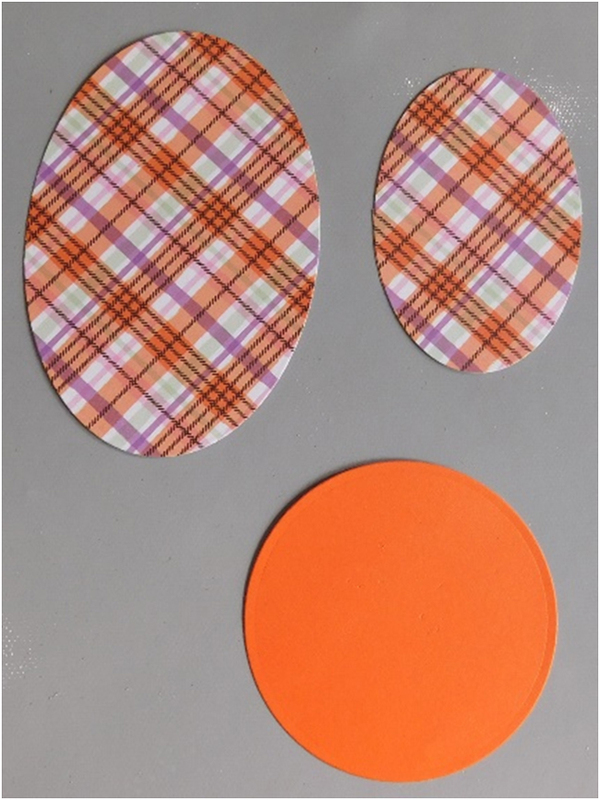 Die cut 2 ovals and a circle using your die cut machine and an oval and circle die set from your favorite patterned paper and cardstock. 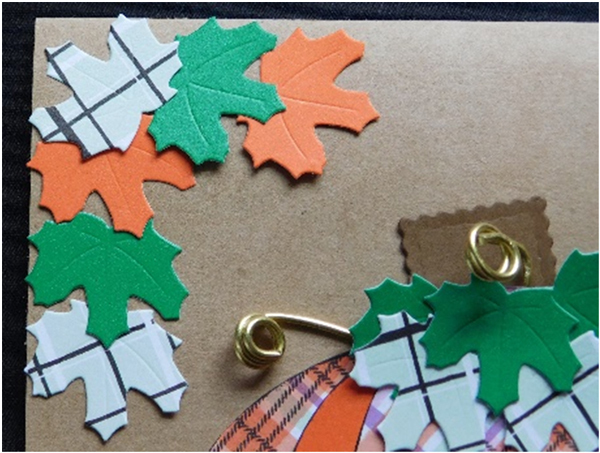 This is a fun way to use patterns from your favorite Halloween paper lines as they have fall colors in them. Depending on the size of your smaller oval, it may go over the top of the other pieces, but that’s okay. I’ll show you how to hide that in a later step. 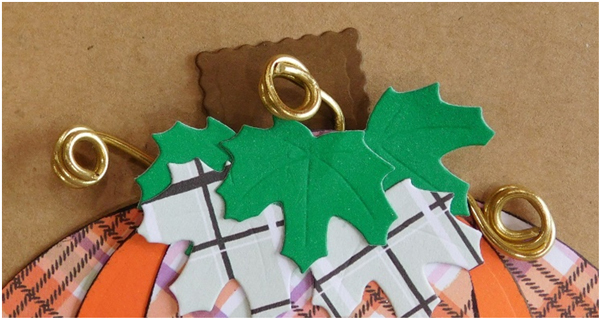 Die cut or punch several leaves from cardstock and patterned paper. 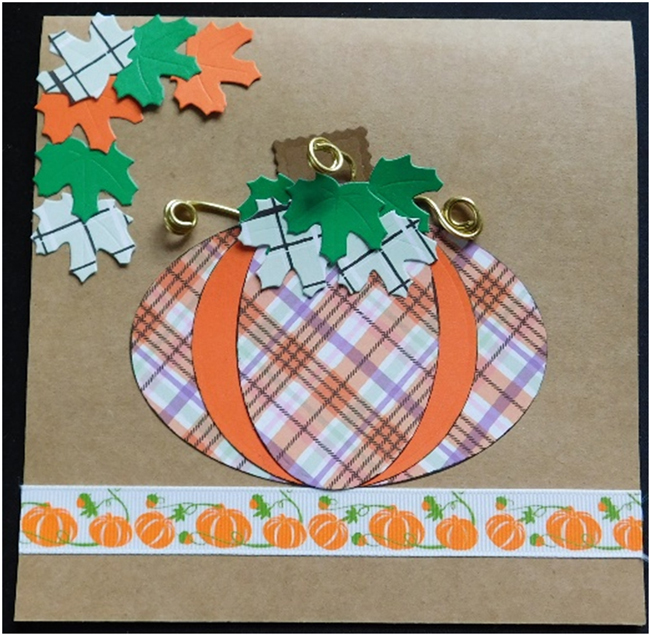 The patterned leaves here (and the ovals for the pumpkin) were created from the American Crafts Bootiful line. 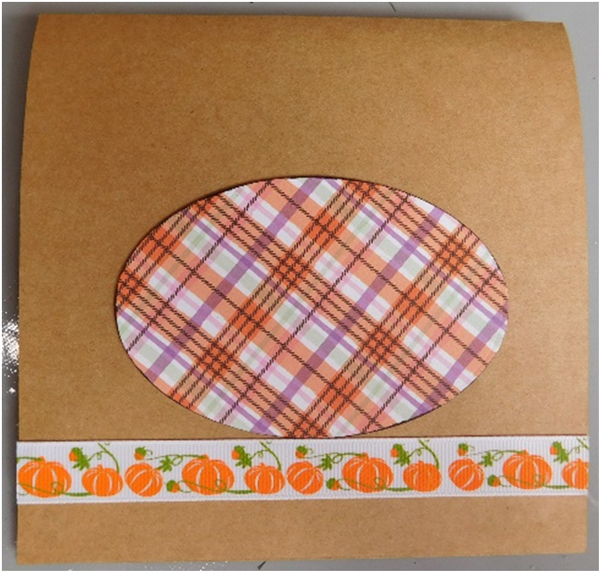 Create a 6” x 6” card base from cardstock and add a piece of ribbon onto the front. 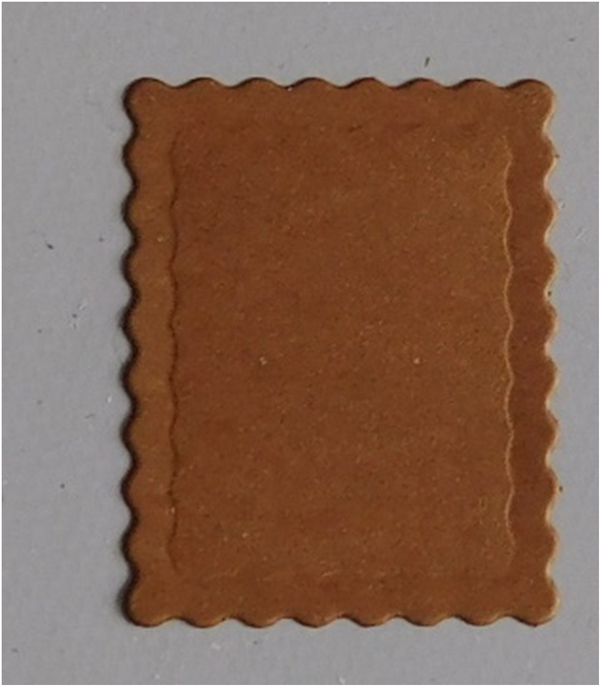 The cardstock used for this base is kraft cardstock. Use a small rectangle die to cut the stem. Ink each of the edges in black ink to add depth to them. Add the large oval to the base using a tape runner. Next, add the rectangle stem, the circle and then the last oval. 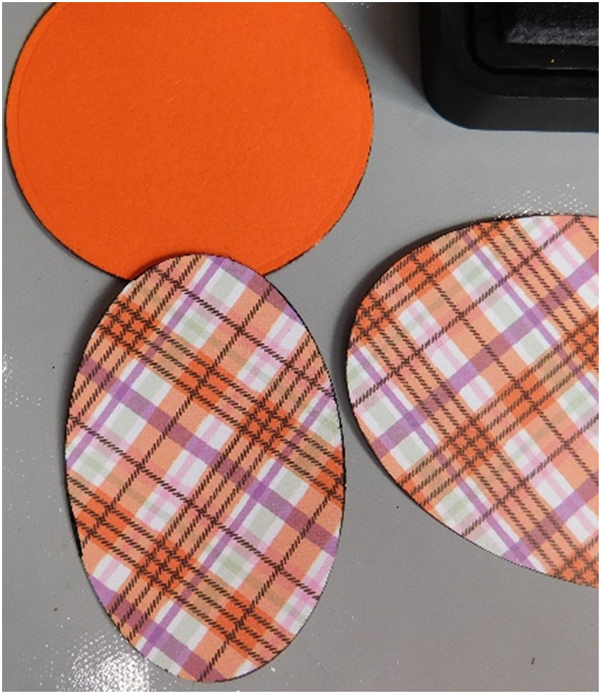 Remember that the last oval should be placed vertically in the center of the other pieces. 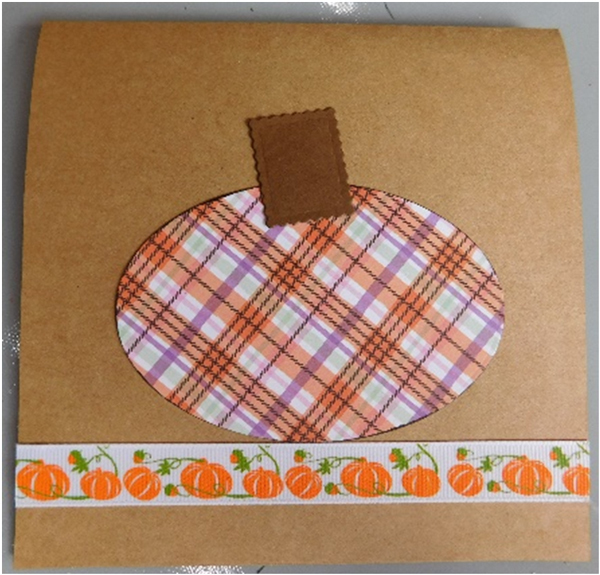 Arrange the leaves around the top of the pumpkin so that the cover the overhang of the last oval. Take several pieces of wire to create the vines. 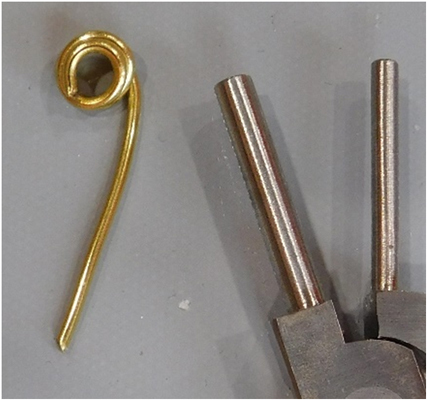 Keep in mind when purchasing the wire that the higher the number for the gauge of wire the thinner the wire and more easy to form. Hold the wire in between the looping pliers and continue to twist until you can no longer wrap it around just one half of the plier. Open the pliers and turn the wire around and close them and begin twisting again. Continue to do this until the loop is the size you want it. Do all of the wires this way. 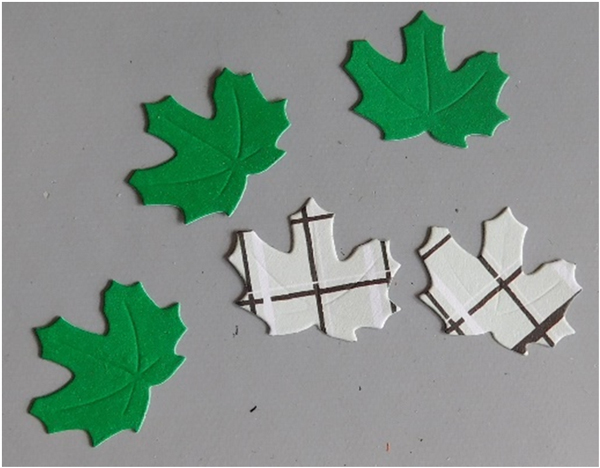 Attach the wire stems behind the leaves using glue and allow to dry. Add the last of the leaves around the top edge to finish off the design. Finish the card by adding a sentiment to the inside. You can, also, add one to the outside if you’d like. 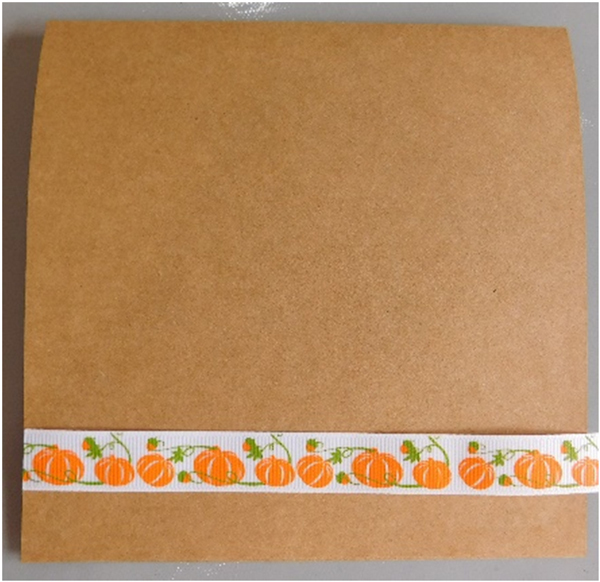 Whether you decide to use the fall themed paper you have your eye on or the Halloween paper pad that you just discovered, this is a great way to use some of the patterns in them. They aren’t always just for that season. 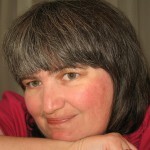 It’s fun and creative to use them wherever your imagination takes you!